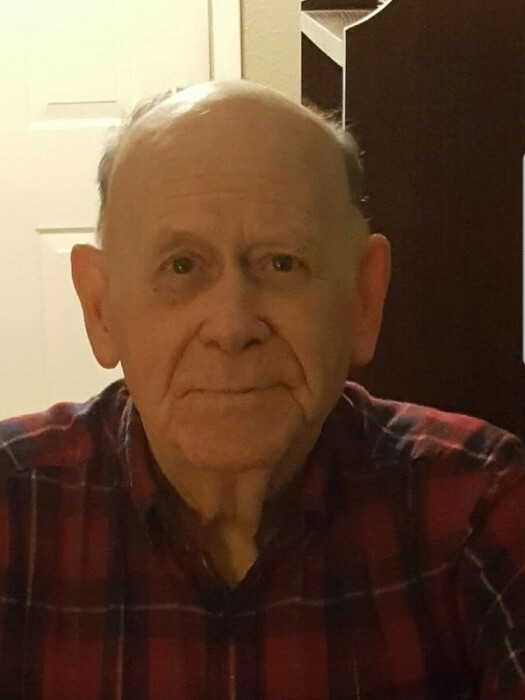 Edmond Charles Hardwick, 89, of North Vernon, passed away at 11:05 a.m. on Thursday, March 28, 2019, at Hickory Creek at Madison. Born October 1, 1929, in Burnside, Kentucky, Edmond was the son of William Clayton Hardwick and Martha Ellen Morrow Hardwick. Edmond worked as an electrician for the former Muscatatuck State Developmental Center in Butlerville before retiring. He served in the U.S. Navy and was a former member of Matt Hester Post #2021 V.F.W., American Legion and Moose Lodge and was a member of Bible Baptist Church in North Vernon. Edmond enjoyed gambling, playing bingo and cards. Survivors include his sons, Randy (Jill) Hardwick, Adrian (Jan) Hardwick and Tim (Panda) Hardwick all of North Vernon, Mike (Cathy) Hardwick of Crystal River, Florida and Jim Hardwick of Butlerville; daughter, Sue (Glenn) Seeley of Seymour; grandchildren, Todd Curran, Ashya Hardwick, Ciara Hardwick, and Heather Barber, all of North Vernon, Tonya Bauman and Brandon Seely, both of Columbus, Jeremy Hardwick of Boise, Idaho, Eric Hardwick of Butlerville and Summer Pickering of Muncie; fourteen great-grandchildren and one great-great-grandchild. He was preceded in death by his parents, granddaughter, Erica Hardwick, great-grandson, Hunter Hardwick; four brothers, and five sisters. A funeral service for Edmond will be conducted at 1:00 p.m. on Saturday, March 30, 2019, at the Dove-Sharp & Rudicel Funeral Home and Cremation Service with the Rev. Dale Boyd officiating. Family and Friends may call at the funeral home on Saturday, March 30, 2019, from 10:30 a.m. until time of service. Burial will be in the Vernon Cemetery. Memorials may be made through the funeral home to the Alzheimer’s Association.